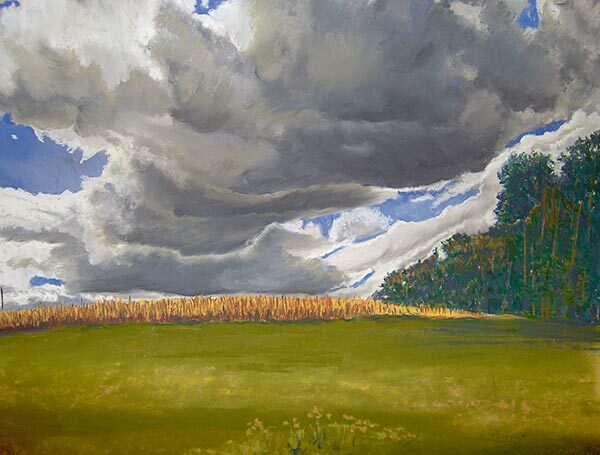 I have exhibited in many shows throughout New England, such as Sharon Arts Centre and The Townbarn in Peterborough, NH; Jaffrey, NH Civic Center, The Gardner Museum, Fitchburg Art Museum, Arts in the Park in Rochester, NH and Portland, ME and participated in the Gardner Artist Association, the Mayor’s office in Gardner and various libraries in the greater Gardner area. 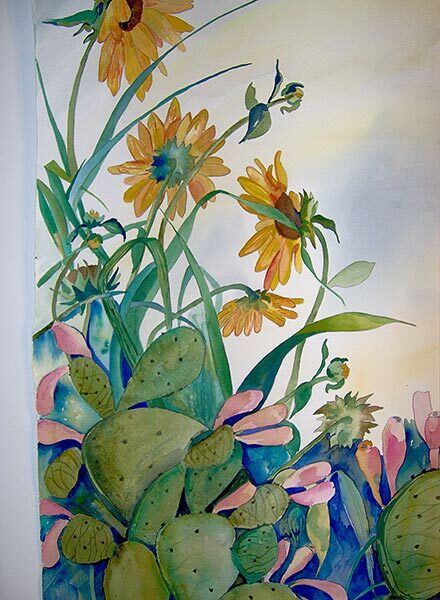 I exhibited in the McKinney Art Club in Texas, and one women shows at the Schimelpfenig Gallery, the Garrett Gallery, the Plano Art Gallery, the Café du Louvre in an Antique Mall, Nations Bank and the Tax Office in Plano, TX. I participated in a ten women exhibit at the Studio on Welborn in Dallas, TX. I participated in the “Artist of the Month” programs in both Gardner, MA and Plano, TX where I was also in three street art festivals in the Dallas Metroplex. 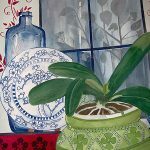 In the Gardner area, I have had a one woman show at the Surroundings Gallery. 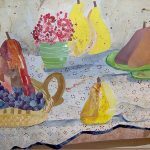 I have won many ribbons in the professional category for pastel, watercolor and collage. 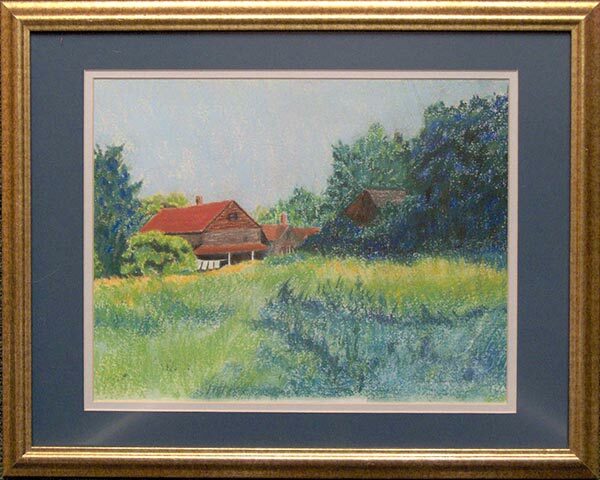 I have also sold two paintings to libraries; one in Simpsonville, SC and the Fitchburg Library. 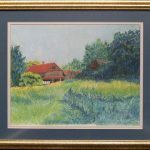 I have over 80 paintings in private and corporate collections in Texas, SC, and New England. My love for art started at a young age. I recently received a letter written by my mother, Helen Taft, to her sister, who at the time was living in Norway. My mother wrote about each of her children. When she got to me, she wrote: “Sally is different, all she does is read and draw.” The year was 1958 and I was ten years old. When I graduated from high school, I went to the School of Practical Art, which is now the Boston Institute of Art and also to Mt. Wachusett Community College. 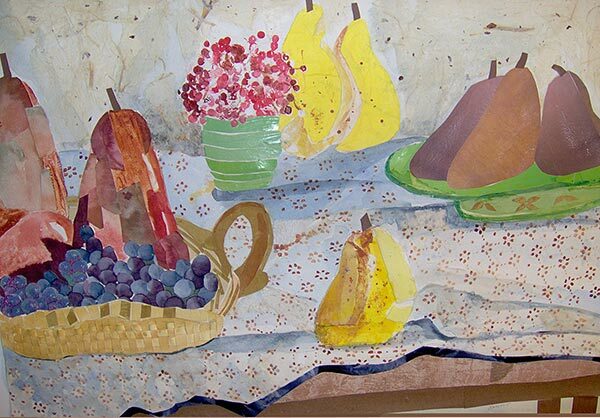 My first approach to watercolor was a class at the Fitchburg Art Museum with Rigmor Washburn of Princeton, MA. 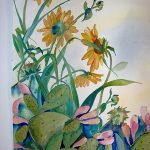 I also studied watercolor with Allen Thompson of Fitzwilliam, NH and with Paula Rayer Nemec in Dallas, TX working in mixed media. 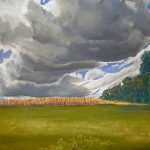 I also studied with Jim Taylor of Deerfield in oils, Marie Renfro of Allen, TX in mixed media, Xiang Xhang of Dallas in oils, and with Pat Smith of Denton, TX in a color workshop. 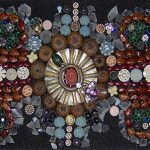 I have been on the board for the Plano Art Association in Texas, the Greater Gardner Artist Association, the Gardner Area League of Artists, and the Arts Lottery Council of Gardner. 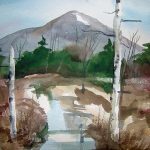 I am a member of the Leominster Art Association and past member of the Sharon Arts Centre and the Fitchburg Art Museum. 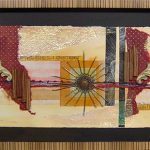 I work in several mediums: pastels, watercolor, collage and mixed media. I like to do landscapes, skyscapes and animals in pastel. I am self taught in this medium. 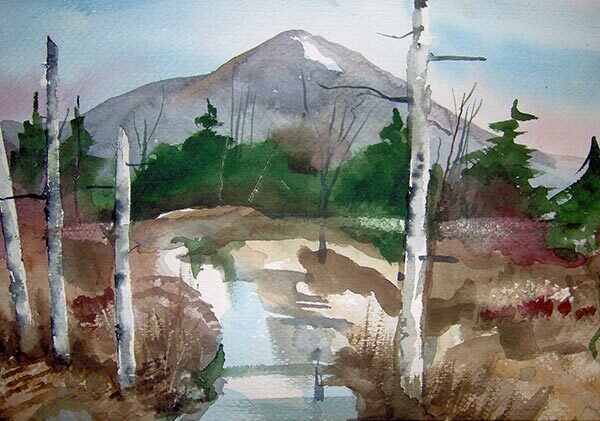 I have taken many classes in watercolor and find it the most difficult medium to use. Collage is done with all kinds of paper. I do abstract designs and realistic pieces in collage. 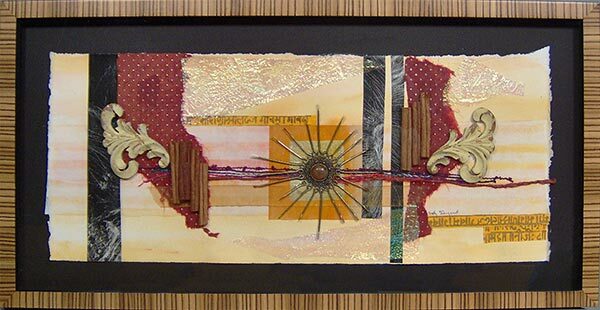 In mixed media I use just about anything I can to add to my work. Anything that I can safely glue to the piece I am working on. I will do a landscape in pastel, then clean up my studio and switch to another medium and go to work on a particular piece. 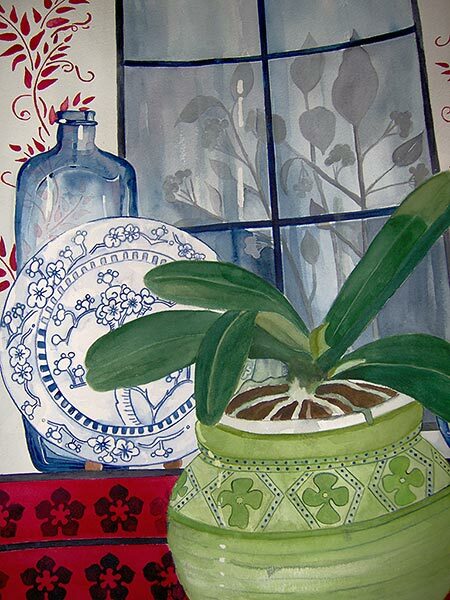 I do still life in watercolor that include flowers, antique plates and blue bottles. Generally I will take photographs outside and then work on them in my studio. They are not exact but help in creating a new piece that I know is original and from my own concept. Artwork copyright © Sally Sargent. No images may be reproduced in any form without written permission.